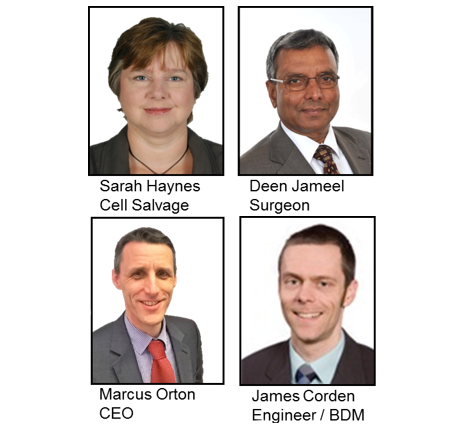 Based in the MedTech Centre on the Manchester Science Park, SwabTech Ltd is a UK registered medical device company that has spun out of the UK NHS to develop, evaluate and commercialise an automatic swab washing device to support the use of Intra-Operative Cell Salvage within operating theatres. The technology arose from initial research into manual swab washing undertaken by Dr Sarah Haynes of the University Hospitals of South Manchester NHS Foundation Trust. The device was further developed via an NIHR i4i proof of concept grant before being prepared for a patent application and spun out into SwabTech Ltd. This will complete the development of the automated Swab-Washer product, its clinical evaluation and SwabTech’s Quality Management Systems. This work will secure appropriate certification for the launch and sale of a CE marked medical device. While we are working closely with several partners and investors to develop the necessary clinical, manufacturing and regulatory outputs, we welcome further enquiries from those interested in our development and how they might invest and support us. The SwabTech board members and CEO are leading the development of the technology, securing and building on the investment and development partnerships. Copyright 2017. SwabTech Limited All Rights Reserved.